Poker also has iconic destinations and the Trump Taj Mahal had been one of them. Many even stated that it was the eighth wonder of the world. However, that is a casino that closed its doors recently. For those who have never been there or heard of it, Trump Taj Mahal was located in Atlantic City. It has closed its doors from 10th October. As the presidential elections come with it might be a coincidence or not that the casino has closed its doors. 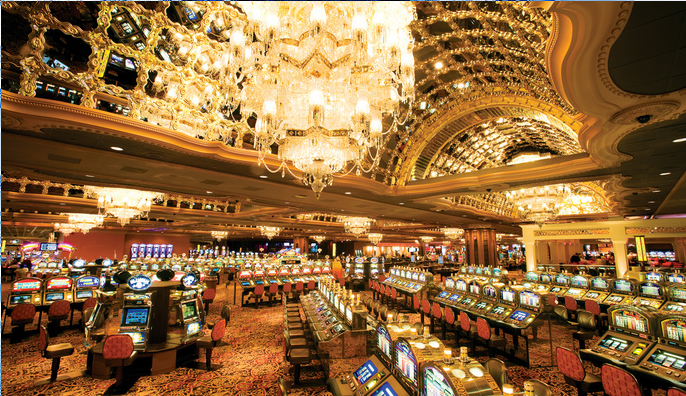 Many say that the casino was a landmark destination for poker lovers and it would surely be missed. Among the poker rooms that have been around, it definitely earned considerable fame. Not only has it been the favorite haunt of many players, it has been the place where several movies like Rounders was shot. Brian Koppleman says that the scene between Johnny Chan and Matt Damon was inspired by the stint he pulled at WSOP at this venue against Phil Hellmuth. He echoes the sentiments of most players regarding the place. It is a venue where one can go to play and not have to worry about violating laws. It was also a venue where the best players gathered and hence, one could really study the game and get better at it. The casino had started in 1990. It was the time when poker became legal in the state of New Jersey. When the US Poker Championship was held in 1996 the destination became a popular one. The financial caliber of this venue matched those of the venues where World Series of Poker were held. Since the Borgata casino started in 2003 the popularity of Taj casino was challenged. As more poker rooms opened up in places like Maryland, Delaware and Pennsylvania the casino was in its financial downfall.